Microsoft Dynamics 365 | PowerObjects BlogCRMUG Summit was a Blast! CRMUG Summit was a Blast! Home CRM 2011 CRMUG Summit was a Blast! Be the first to comment. Seven PowerObjects peeps ventured out to Seattle for the CRMUG annual Summit last week. The week started out with a bang when Alex Fagundes and Gretchen Opferkew led a 4-hour class on Managing Your Contact Lifecycle on Monday afternoon. Then over the course of the Summit, PowerObjects presented 11 educational sessions!! For those new to Microsoft Dynamics CRM, Gretchen Opferkew presented on why people choose Microsoft Dynamics CRM and how to go about planning the implementation including the 10 Ways to Get Started with Microsoft Dynamics CRM. Just goes to show that SOME people are coming to CRMUG Summit to fill in their basic CRM knowledge.CRMUG members can view content for Microsoft Dynamics CRM Overview. CRM Online Reporting with Fetch XMLDean Jones doled out his expertise on the topic of creating custom reports in Microsoft Dynamics CRM, which is always a hot topic. The best part about this session was watching peoples’ faces light up when they realize they have the tools to go back and knock some reports off their to-do lists! 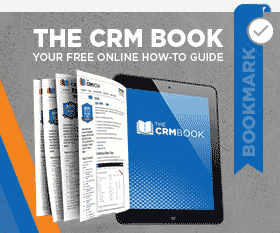 CRMUG members can view content for Custom Reporting with CRM Online. Some folks can’t get enough of the analytics capabilities in Microsoft Dynamics CRM, and that is why the room was packed with Gretchen Opferkew demonstrated the power of Advanced Find and System Views, Dynamic Excel Pivot tables, Charts and Dashboards, context sensitive charts, and even charts on forms! Don’t just stand there, let’s get to it!! CRM dashboards are definitely en vogue!CRMUG members can view content for CRM Analytics for the Rest of Us . Alex Fagundes garnered a crowd for his intense session on the best practices for upgrading and rolling up Microsoft Dynamics CRM. A critical and necessary process for on-premise implementations of Microsoft Dynamics CRM, this session was packed full of tips! CRMUG members can view content for Upgrade and Update Rollout Best Practices. Many participants in this session found out that upgrading is possible—slowly, but surely you can get through all updating and testing all of the plug-ins and extensions of a complex implementation. They came, they saw, and they left with hope for the future!! CRMUG members can view content for Upgrading Complex Systems. It’s not as easy as it looks to code a useful and intuitive Windows 8 application. According to Dean Jones who demonstrated a super cool Win 8 application on his tablet, a good design takes an incredible amount of thought and experimentation. This session was an introduction to wrapping your mind around the future of process-driven applications! !CRMUG members can view content for Windows 8 and CRM. This PowerObjects sponsor session featured Jim Sheehan and Cecilie Svensgaard and all the PowerPack a marketer dreams about!! PowerWebForm, PowerWebTraffic, PowerMailChimp, PowerZapEvent and PowerSurvey—together they are a force to be reckoned with and at $1-$2 per month, the price is unbeatable!! CRMUG members can view content for Web Marketing: Closing the Loop in Dynamics CRM. Another sponsor session featuring Cecilie Svensgaard and Gretchen Opferkew who used a day-in-the-life customer service scenario littered with out-of-the-box tips on how to use Microsoft Dynamics CRM more effectively, In addition UNBELIEVABLE productivity was demonstrated in the use of PowerObjects PowerPack components PowerOneView, PowerSurvey, PowerWebForm, PowerFind, and PowerGlobalSearch, most of which we’re practically giving away at $1 per user per month. We’re not joking around here folks, the CRMUG members contributed well beyond the 30 plus tips and tricks that Gretchen Opferkew brought to this session. It was sizzling! !CRMUG members can view content for Dynamics CRM Online and On-Premise Tips and Tricks. You had me at “Customize the Quick Access Toolbar!” Most people had never heard of that, which started out a hugely successful run through of all the Outlook productivity tips. And once again, the CRMUG feature the USERS who more than doubled the contribution to of tips and tricks that Gretchen Opferkew brought to this session!! CRMUG Members can view content for Improve Productivity with Outlook and CRM. In addition to all the excitement in these sessions, the PowerObjects team enjoyed meeting lots of CRM gurus and raving fans at the Expo!! Offering demos of our PowerPack components and our How-to Portal! Thanks to the CRMUG and members for an awesome week!! by Joe D365	October 25, 2012 Be the first to comment.